The estimate, based on the intersection of large datasets and universal scaling laws, appears May 2 in the Proceedings of the National Academy of Sciences. The study's authors are Jay T. Lennon, associate professor in the IU Bloomington College of Arts and Sciences' Department of Biology, and Kenneth J. Locey, a postdoctoral fellow in the department. The IU scientists combined microbial, plant and animal community datasets from government, academic and citizen science sources, resulting in the largest compilation of its kind. Altogether, these data represent over 5.6 million microscopic and nonmicroscopic species from 35,000 locations across all the world's oceans and continents, except Antarctica. "Estimating the number of species on Earth is among the great challenges in biology," Lennon said. "Our study combines the largest available datasets with ecological models and new ecological rules for how biodiversity relates to abundance. This gave us a new and rigorous estimate for the number of microbial species on Earth. "Until recently, we've lacked the tools to truly estimate the number of microbial species in the natural environment," he added. "The advent of new genetic sequencing technology provides an unprecedentedly large pool of new information." The work is funded by an effort of the National Science Foundation to transform, by 2020, understanding about the scope of life on Earth by filling major gaps in humanity's knowledge about the planet's biodiversity. "This research offers a view of the extensive diversity of microbes on Earth," said Simon Malcomber, director of the NSF's Dimensions of Biodiversity program. "It also highlights how much of that diversity still remains to be discovered and described." 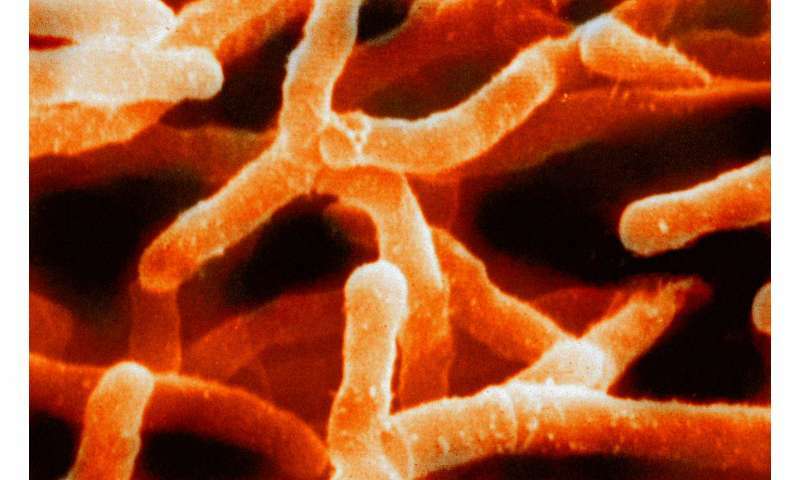 Microbial species are all forms of life too small to be seen with the naked eye, including all single-celled organisms, such as bacteria and archaea, as well as certain fungi. Many earlier attempts to estimate the number of species on Earth simply ignored microorganisms or were informed by older datasets that were based on biased techniques or questionable extrapolations, Lennon said. "Older estimates were based on efforts that dramatically under-sampled the diversity of microorganisms," he added. "Before high-throughput sequencing, scientists would characterize diversity based on 100 individuals, when we know that a gram of soil contains up to a billion organisms, and the total number on Earth is over 20 orders of magnitude greater." The realization that microorganisms were significantly under-sampled caused an explosion in new microbial sampling efforts over the past several years, including the collection of human-related microorganisms by the National Institutes of Health's Human Microbiome Project; marine microorganisms by the Tara Oceans Expedition; and aquatic, terrestrial and host-related microorganisms by the Earth Microbiome Project. These data sources—and many others—were compiled to create the inventory in the IU study, which pulls together 20,376 sampling efforts on bacteria, archaea and microscopic fungi and 14,862 sampling efforts on communities of trees, birds and mammals. All of these sources were either publically available or provided access to IU. "A massive amount of data has been collected from these new surveys," said Locey, whose work included programming required to compile the inventory. "Yet few have actually tried to pull together all the data to test big questions. "We suspected that aspects of biodiversity, like the number of species on Earth, would scale with the abundance of individual organisms," he added. "After analyzing a massive amount of data, we observed simple but powerful trends in how biodiversity changes across scales of abundance. One of these trends is among the most expansive patterns in biology, holding across all magnitudes of abundance in nature." Scaling laws, like those discovered by the IU scientists, are known to accurately predict species numbers for plant and animal communities. For example, the number of species scales with the area of a landscape. "Until now, we haven't known whether aspects of biodiversity scale with something as simple as the abundance of organisms," Locey said. "As it turns out, the relationships are not only simple but powerful, resulting in the estimate of upwards of 1 trillion species." The study's results also suggest that actually identifying every microbial species on Earth is an almost unimaginably huge challenge. To put the task in perspective, the Earth Microbiome Project—a global multidisciplinary project to identify microscope organisms—has so far cataloged less than 10 million species. "Of those cataloged species, only about 10,000 have ever been grown in a lab, and fewer than 100,000 have classified sequences," Lennon said. "Our results show that this leaves 100,000 times more microorganisms awaiting discovery—and 100 million to be fully explored. Microbial biodiversity, it appears, is greater than ever imagined." And how many of those microbial species are living inside us, and how many are essential to good health, proper growth and immune system function, and long-term survival? And how many are killed by current wide-spectrum antibiotics routinely given to children for runny noses and such? Can these antibiotics be blamed for all sorts of diseases, obesity, behavioral abnormalities, mental illness and by extension crime and drug abuse? @TGO: No, you cam't blame antibiotics for very much, their main side effects are well characterized, see the information with the packages. Unless you have an immune system sensitivity reaction, antibiotics can't kill you. There is an overuse of antibiotics (say, for viral infections where they do nothing) combined with the tendency to not go the full cure, which generates resistant bacteria.. *That* is the problem, which ironically needs more antibiotics to choose from, not less. Huh I thought you actually knew what you were talking about all the time, about everything. "Antibiotic-resistant disease is not the only danger... Excessive exposure to antibiotics also takes a heavy toll on your gastrointestinal health, which can predispose you to virtually any disease. Abnormal gut flora may actually be a major contributing factor to the rise in a wide variety of childhood diseases and ailments." "... research from Denmark shows that children whose mothers took antibiotics during their pregnancy were more likely to develop asthma"
"These drugs have been found to alter the taxonomic, genomic, and functional capacity of the human gut microbiota, with effects that are rapid and sometimes persistent. Broad-spectrum antibiotics reduce bacterial diversity while expanding and collapsing membership of specific indigenous taxa..."
-This is something entirely new. We have little idea what the gut bacteria we are familiar with are doing for us. -Loss of gut bacteria affects our immune system, digestion, and nutrient uptake. Very little is known about the effects of antibiotics on our microbiome but indications are that this could be responsible for a number of diseases including autoimmune, allergies, and cancer.
" there is a paucity of data... it is inappropriate to extrapolate animal data. Therefore, there is considerable controversy regarding the neonatal considerations of administering antibiotics to breast feeding mothers..."
"modify the bowel flora and alter gut defence mechanisms; this can result in diarrhoea and malabsorption of nutrients. Secondly, they may have direct effects that may or may not be dose related. Lastly, and often ignored, is that antibiotics can alter and interfere with microbiological culture resulting in babies being investigated for sepsis"
Incredible! We are fearfully and wonderfully made. "We"? You holding two cats? I've made puddles of puke outside the pub after a hard night's drinking that were more fearfully and wonderfully made than anyone that would continually spam us with the crap you do. TGO, I think I say potato (main side effects characterized) and you say potatoe (main side effects characterized) . Yah but the e is silent. Look it up. But no, the side effects are not well known. They are just beginning to link heretofore unlinked diseases and developmental abnormalities to the effects of antibiotics on our microbiome. "Even a single course of antibiotics can disrupt the diversity of microorganisms in the gut for as long as a year, according to a study by Zaura and colleagues reported this week in mBio. Among 66 healthy adults prescribed different antibiotics, the drugs enriched genes associated with antibiotic resistance and severely affected microbial diversity in the gut for months after exposure. By contrast, microorganisms in saliva showed signs of recovery in as little as few weeks." -I repeat; this is new territory. @TGO: Agreed, it is new territory. But it isn't among the frequent reported side effects, which was my own point. I think we have to agree to disagree then. And my point is, that things like cancer, arthritis, and ADHD are being suspected as side effects. And as you know they are frequently reported. @TGO: But not as side effects, Look, we have to agree to disagree. "We"? You holding two cats? ROFLMAO That one really made my day! AS POTENTIAL SIDE EFFECTS. How can you say conclusively that side effects are known when even the article above states that we don't even know what most of the microbes in our gut are, let alone what it is that they do? It is unreasonable to assume that the effects of killing large numbers of them in the gut has no effects that we aren't already aware of. We are just learning what they are there for. And concluding that symptoms such as obesity is not a side effect, because we already KNOW all the side effects, makes no sense.